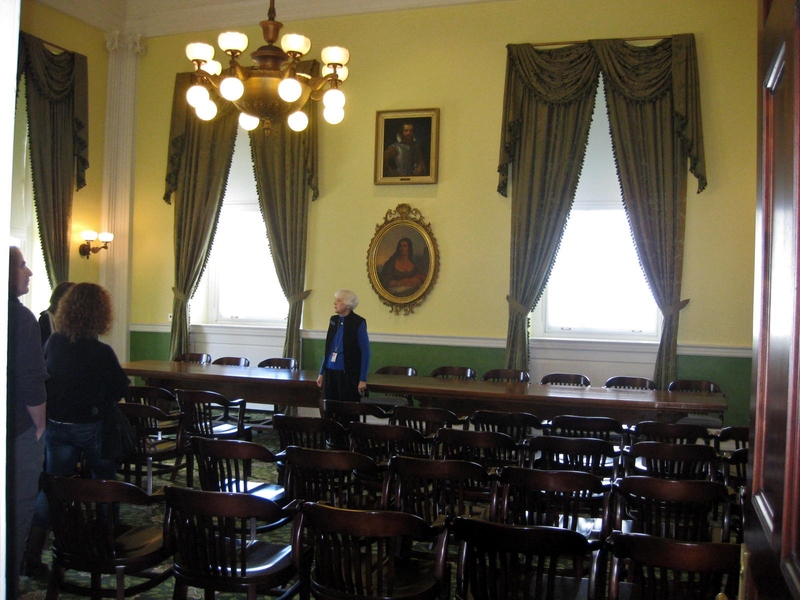 Sadly, we didn’t allocate much time to tour the Virginia State Capitol in Richmond. 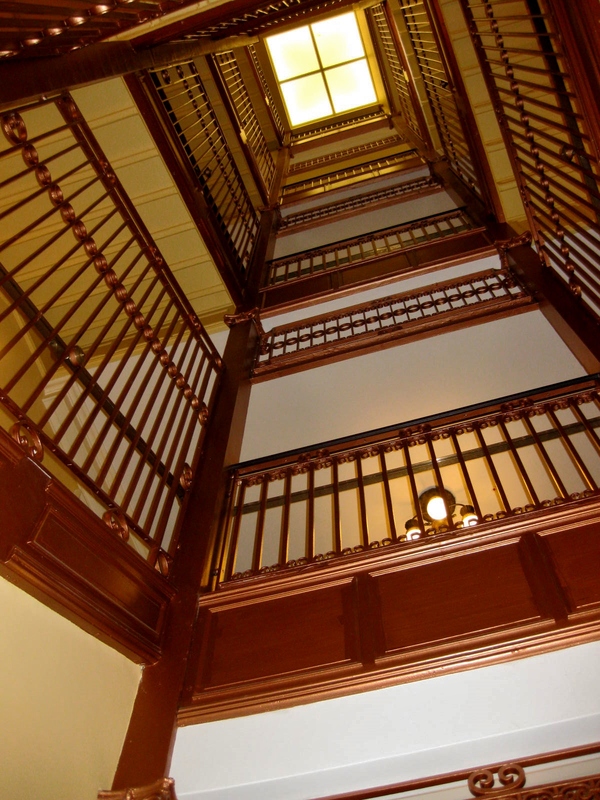 It is perhaps the most historic in the US. 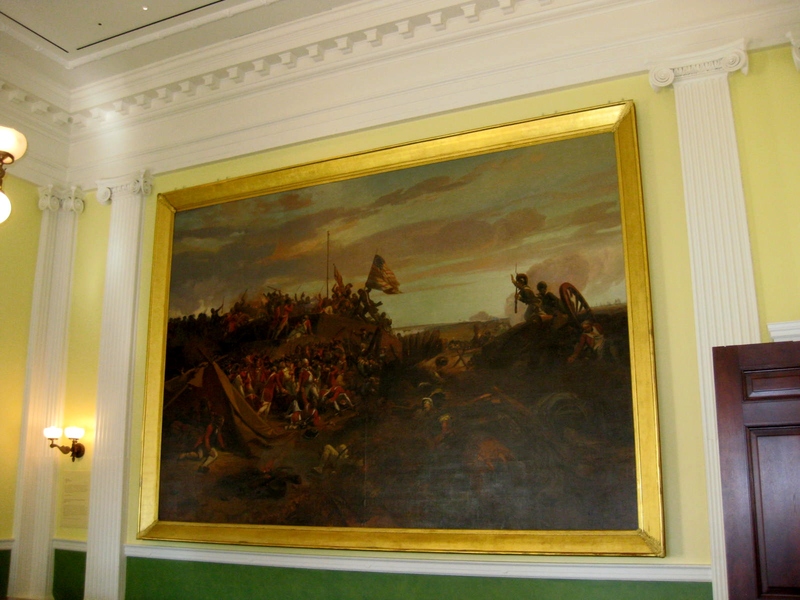 Not only was this building started shortly after the conclusion of the Revolutionary War but it was designed by Thomas Jefferson and for 3 years during the Civil War it also served as the home for the Confederate House of Representatives. 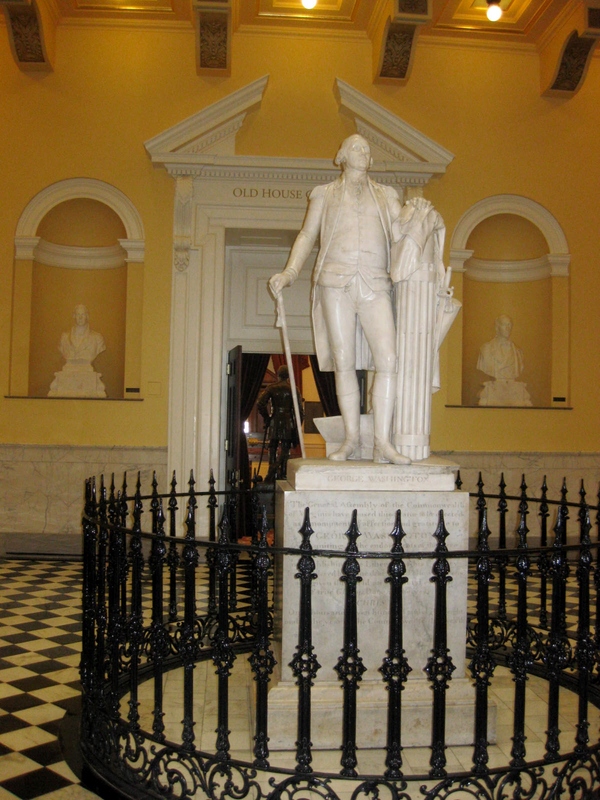 A beautiful life-sized sculpture of George Washington stands beneath the interior dome in the two-story Rotunda. While Thomas Jefferson was serving on a diplomatic mission to Paris, he was asked to commission this sculpture. In 1785, French sculpture Jean-Antoine Houdon began the project by visiting Mount Vernon to study General Washington. 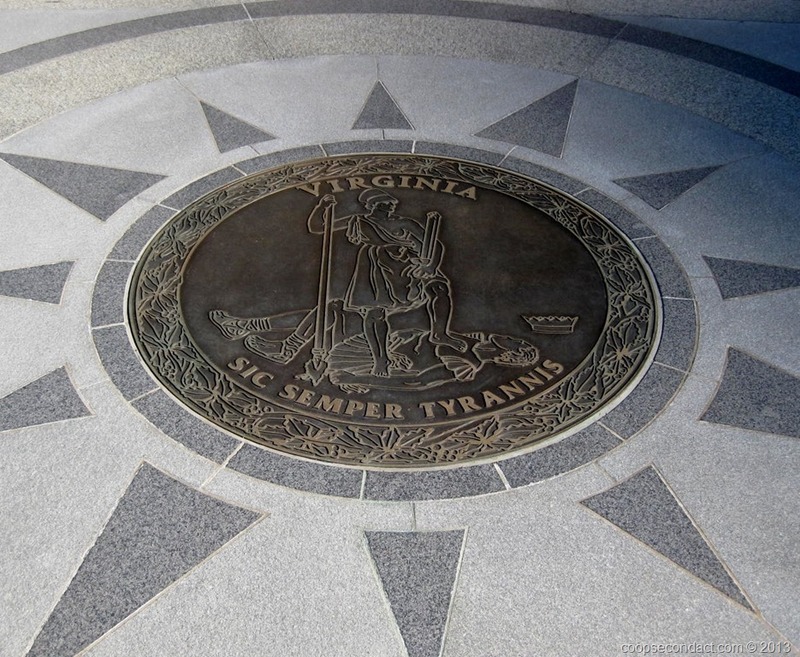 The finished item was placed in the Virginia Capitol in 1796 and has been displayed there almost continuously since. 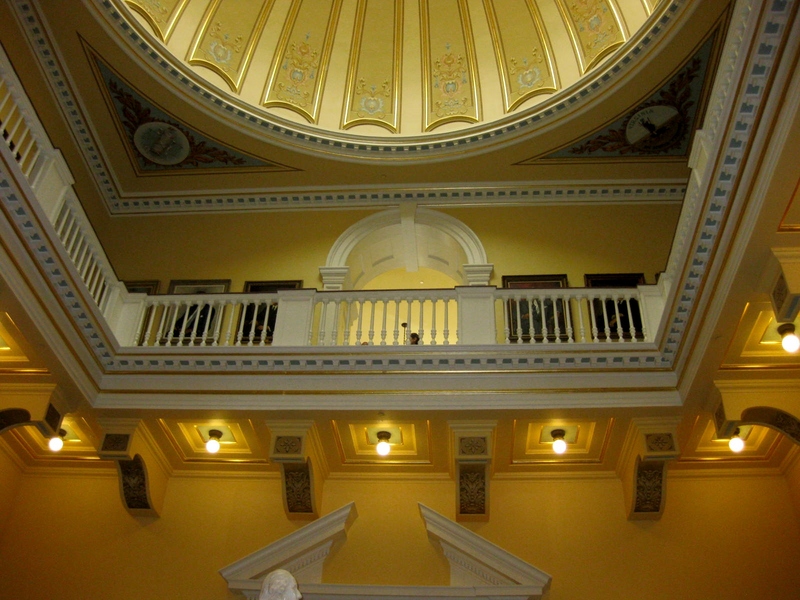 In 2004, the Virginia General Assembly began a project to upgrade and restore the interior and exterior of the Capitol. 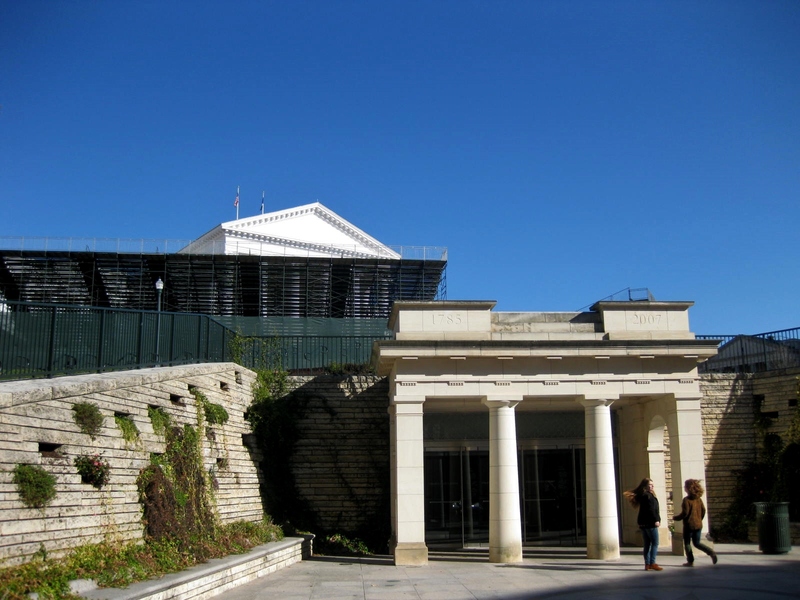 In addition, they added significantly to its working space by building a new extension entirely underground beginning at the footing of the front of the original building. When we were there, they were preparing for the Governor’s inauguration so we were not able to get a clear view of the front of the Capitol.